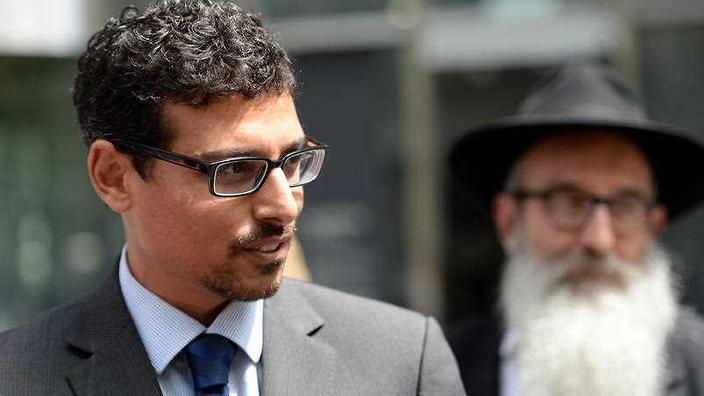 ​Advocate and abuse victim Manny Waks has returned to the Orthodox Jewish centre in Melbourne where he was sexually abused as a boy. For the first time in years, Manny Waks has walked the grounds of the Melbourne school where he was sexually abused. Accompanied by SBS News, Mr Waks spoke about the memories of the abuse he suffered at the Yeshivah College, still fresh in his mind years after leaving the school. "[I] went in there, he told me to undress," he said outside a Jewish ritual bath house on the grounds of the Yeshivah College. "I remember exactly where it was on the bench over there and we just went in and what happened, happened." Mr Waks said he was shunned by members of the local Jewish community as a result of speaking out about the abuse, which sparked the Child Abuse Royal Commission's investigation of Yeshivah College. He said setting foot on the grounds again after so many years had been difficult. "It is probably difficult to articulate the feeling this morning,” he said. “I haven’t been this nervous for some time, not just in the context of speaking, even walking here. Victims of child sexual abuse at the Yeshivah will be eligible for up to $80,000 in compensation under a redress scheme launched on Monday. The scheme, designed by an independent panel, will not remove victims’ right to take further legal action, nor will they be required to sign any confidentiality agreements. The scheme's co-ordinator, Michael Debinski, said victims would be encouraged to report sexual abuse allegations to police, but the decision to report would be up to them. Mr Waks came back from his new home in Israel to hear details of a landmark compensation package and an apology. “For the abuse you suffered, while you were in our care, on behalf of myself personally, and the Yeshivah Centre management and staff past and present, I am profoundly sorry,” Yeshivah Centre management spokesman Yechiel Belfer said while launching the scheme. “There are few cases like Yeshivah where a community turned on its victims and where good people stood by and did nothing," Mr Waks said. “Today’s announcement of the redress scheme is a watershed moment for our community. It sends out a clear message that the Yeshivah Centre is finally taking this issue seriously and is trying to right past wrongs. Now under new management, the college is keen to make amends to the children it failed. "Each of you had a right to be protected and cared for,” Mr Belfer said. “You had a right to feel safe. In each of these respects we let you down in ways that we can never fully make up for."